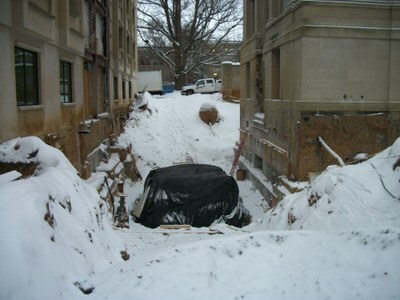 Winter weather and continuing snowfall haven't deterred the continuing work on the Burrowes project. 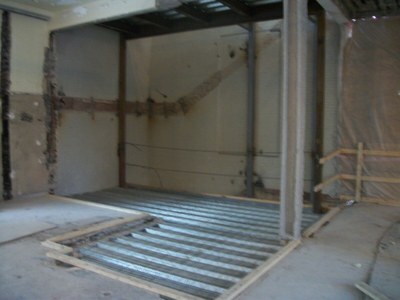 Temporary heat has been installed so that interior work can continue. 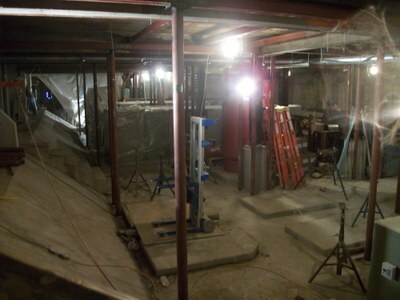 The project remains on schedule. 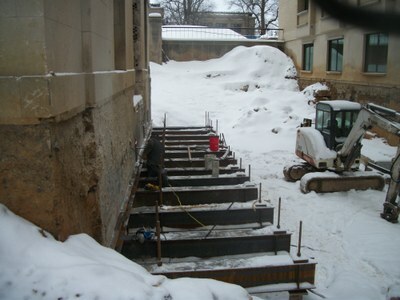 The majority of exterior work is occurring around the north and south knuckles where elevator shaft footings are getting poured and stairwell work has begun (photo 3, south; 5, north). Framing and drywall finishing work continues in the wings working from top to bottom. 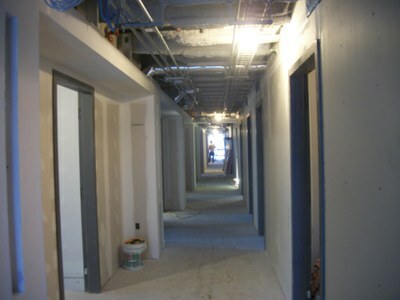 Drywall work has started in the 3rd and 2nd floors of the Core (photo 4). Overall, progress looks good. Full speed ahead!